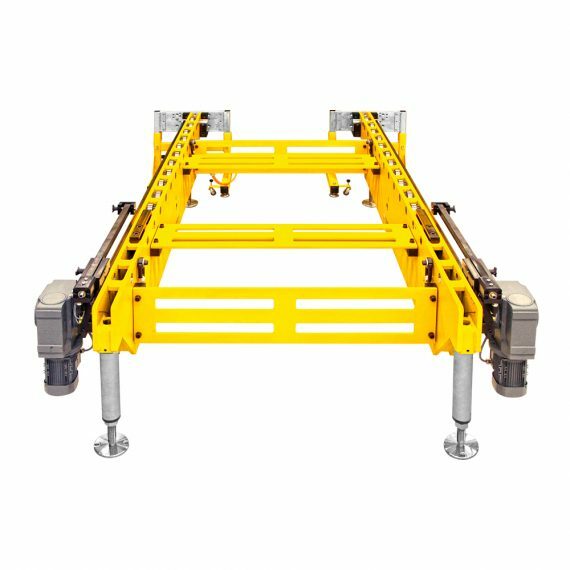 The cost-effective drive system has been developed on the basis of standard die consoles and can be easily installed as it requires only little space. Thus, it is very suitable for both retrofitting and new constructions. The drive unit and the carrying console are hung in hooks provided on the press for this purpose and then locked. The die is deposited on the consoles using a crane or a forklift truck. After the die has been deposited, it can be connected to the changing station by means of a push-and-pull system. 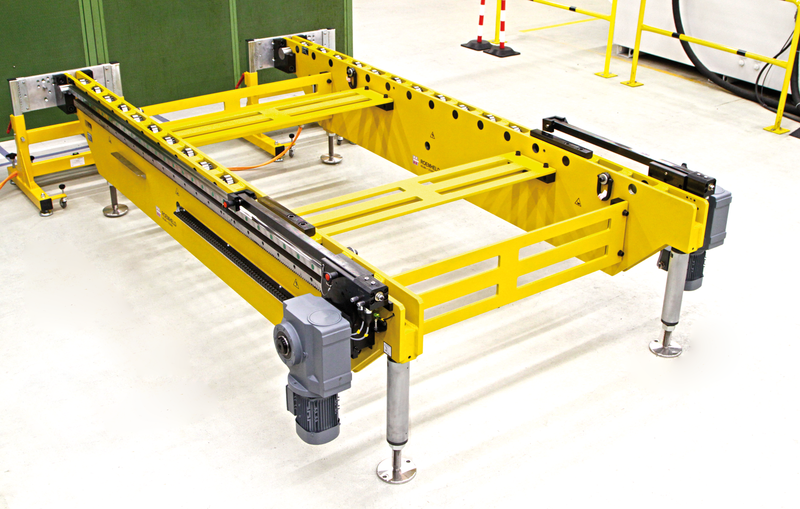 The integral chain drive system allows the user automatic die loading and positioning, just by depressing a push button on a separate remote control pendant. During a die change, the press bed is free, i.e. the push-pull elements do not project over the press bed. Also the rear side of the press is completely free. This changing station is suitable for almost any press, can be easily removed and is easy to handle. 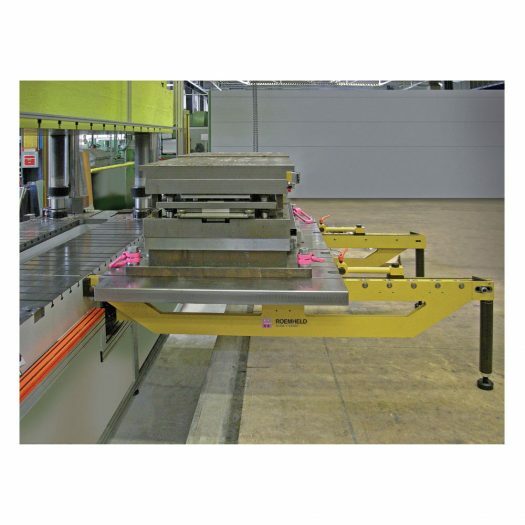 Roller and ball bars in the T-slots of the table provide for easy insertion of the die, either manually or automatically. Damage to the die causing production loss is avoided. 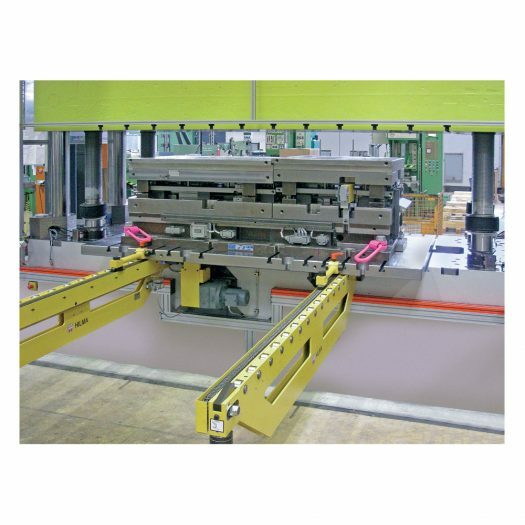 Individual solutions including automatic die changing and integration in the press are possible. Click here for the technical drawings of our 32 ton die changing station.